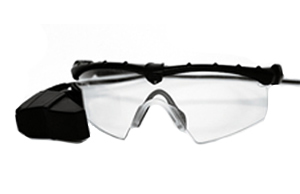 The I-PORT family of near-eye and/or head-mounted display systems is ideal for a wide range of commercial and military applications from weapon sights to training and simulation, virtual reality and surgery. 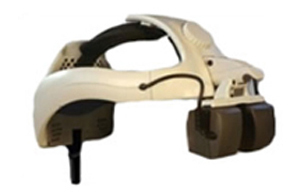 Intevac is an industry leader in designing and producing custom head-mounted display systems for applications in Virtual Reality (VR), simulation, and wireless weapon sights. The I-PORT family of display systems includes monocular and binocular (mono and stereo video) configurations with wired or wireless system interfaces. Their rugged designs satisfy demanding requirements found in military, industrial, and medical environments. 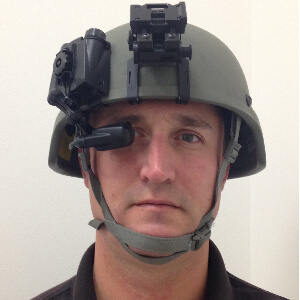 Intevac’s experience includes both occluded and see-through design forms as well as head mounted displays with integral Inertial Measurement Units (IMU). User fatigue experienced in many stereo configurations is eliminated due to precise display alignment and minimal lens distortion. A high performance image with visibility in bright sunlight is possible using high output displays. Intevac’s proprietary IROC lens technology enables optic designs that are small size, lightweight, and short axial length, yet exhibit low distortion and field curvature over the field of view. Depending on the application, AMLCD and OLED microdisplays are used with resolutions from SXGA up to 2K x 2K. 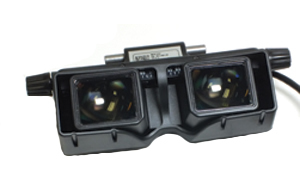 An immersive user experience is achieved with the combination of the display and wide field of view optics.